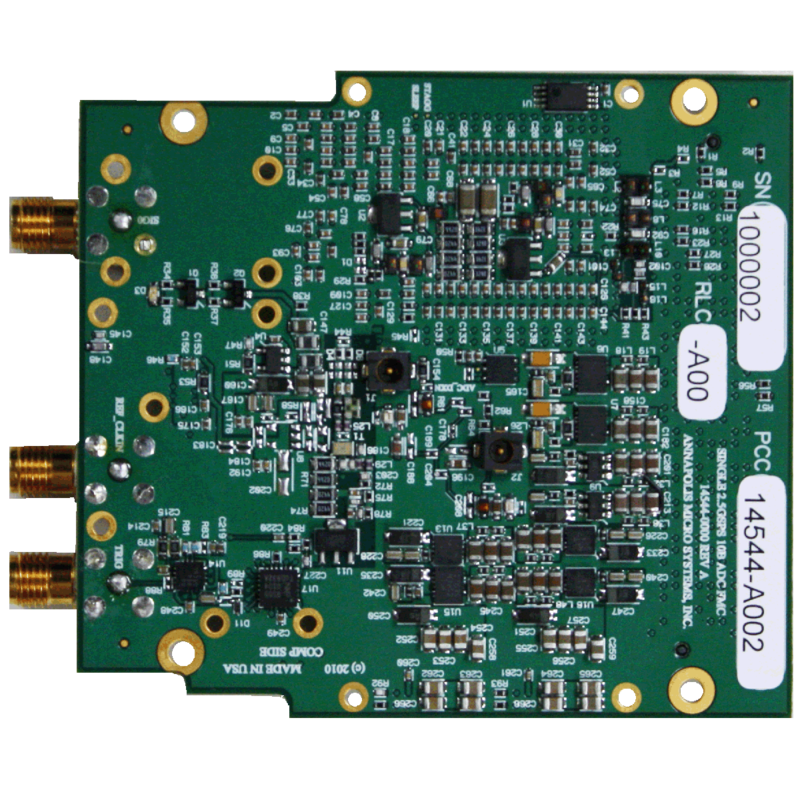 The 2.5 GSps 10-Bit ADC FMC provides high fidelity and high speed analog-to-digital conversion along with a rug-ged design. 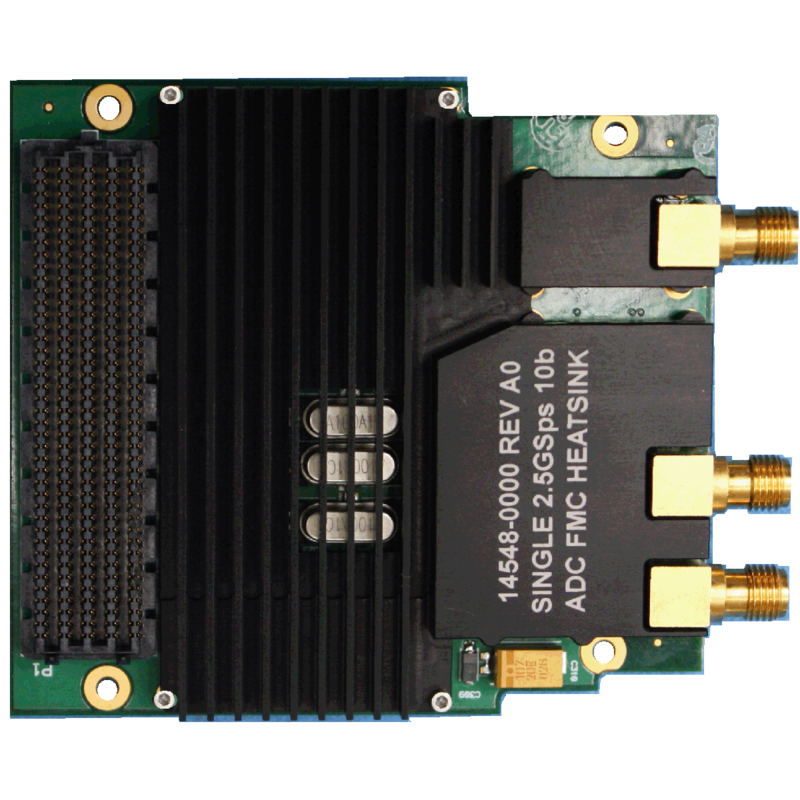 The 2.5 GSps 10-Bit ADC FMC is shipped with a custom heatsink which enables proper cooling of the ADC. An on-board temperature monitor is also supplied which allows for real-time monitoring of the ADC’s internal die temperature. The 2.5 GSps 10-Bit ADC FMC is mechanically and electrically compliant to FMC standard (ANSI/VITA 57.1). 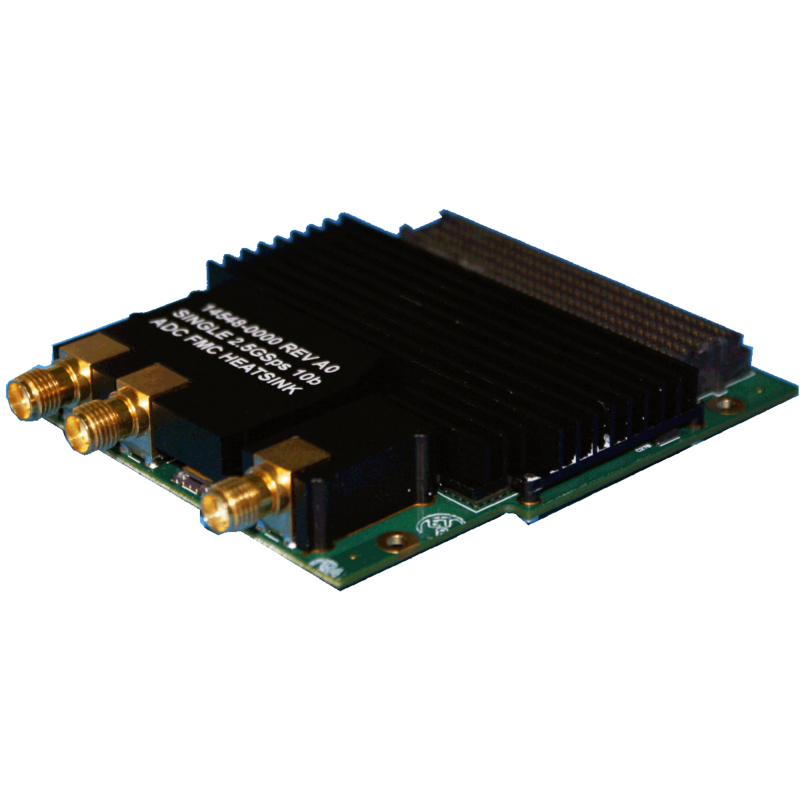 FMCs provide a standard mezzanine card form factor, connectors, and modular interface to an FPGA on the mainboard. They are able to use industry-standard transceivers and cables, which allow fast transmission of data to industry-standard devices. External clock can be driven from a single ended 50 ohm signal source.